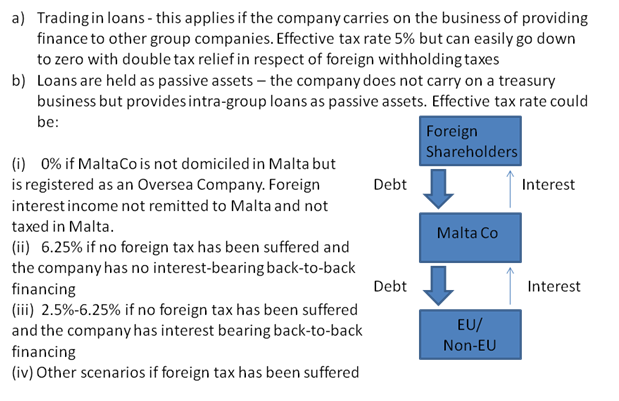 A Malta financing company is very widely used by international groups of companies that wish to centralise the internal treasury management of the group. Cross border interest payments are frequently subject to WHT in the country of the borrower, which may be reduced by the terms of a tax treaty between two contracting states. Malta operates one of the most extensive treaty networks in the world and this ensures access to reduced withholding treaty rates. Many treaties provide for a nil withholding tax rate, while others provide for a reduced rate between 5 and 15%. 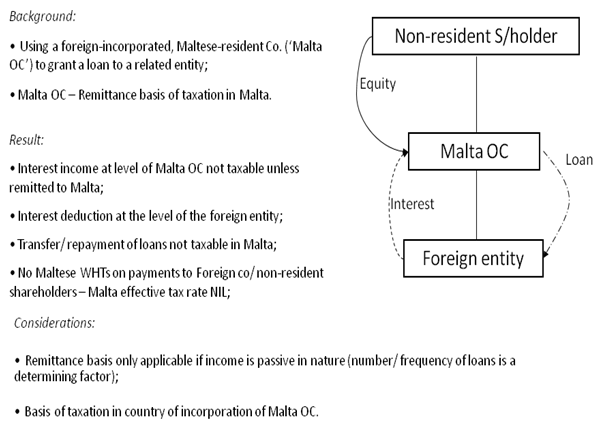 Moreover, due to Malta’s EU membership, the EU Interest and Royalties Directive applies and an exemption is possible in respect of interest paid between related companies.